The Kiama Farmers’ Market is sharing its successful formula for encouraging local food production, by launching a new weekly market in Berry. 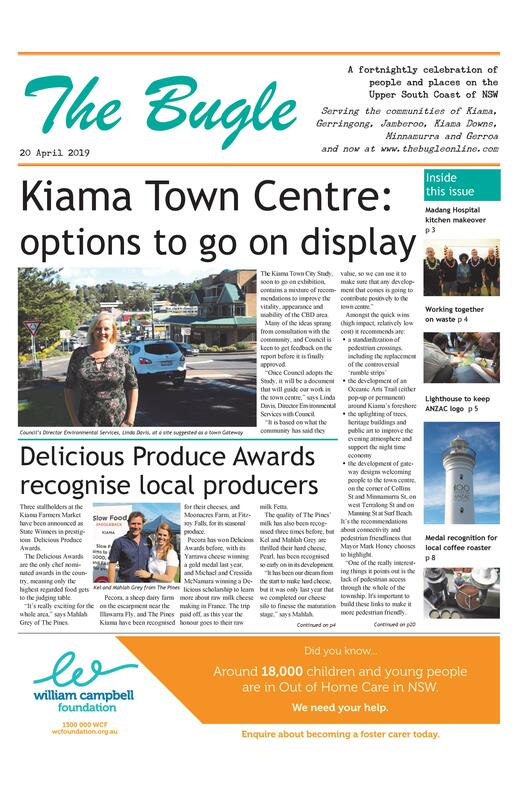 “The Kiama Farmers’ Market has been operating for over four years, and we have had repeat-ed requests from Berry people to open a market there,” says Tricia Ashelford, who will manage both markets on behalf of the not-for-profit body, Kiama Farmers’ Market Inc.
“On the supply side, we have producers from around the region who are keen to come to Berry every Thursday. These will include regular Kiama stallholders like Buena Vista Farm and new stallholders such as Cupitts Winery, with their cheese and wine. “We anticipate we will have around 30 stalls on our opening day, Thursday 20 September. The new market has been welcomed by the Berry Chamber of Commerce and the Berry Show Society. The Berry Farmers’ Market will be on Thursdays at the Berry Showground. The location has its Pavilion available each week as a wet weather venue. “Mid-week markets not only provide an extra market for producers, who are often already committed on weekends, but give families the opportunity to make shopping for local food a regular part of their week,” says Tricia. With Berry now only a 20 minute drive away from central Kiama, the new market will be a second opportunity for people to put local food on their table each week.